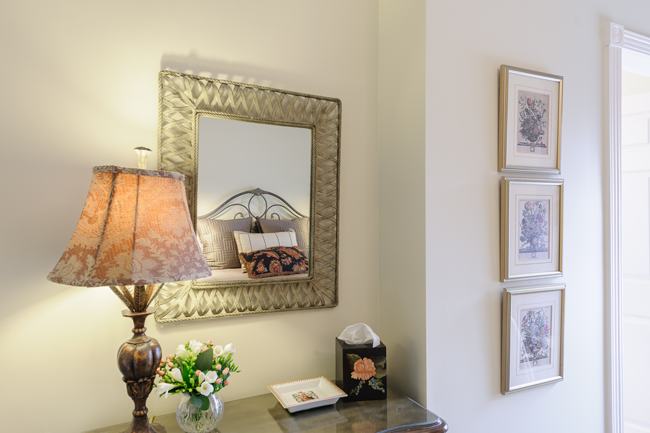 Our three delightful guest rooms have been designed with your comfort in mind! 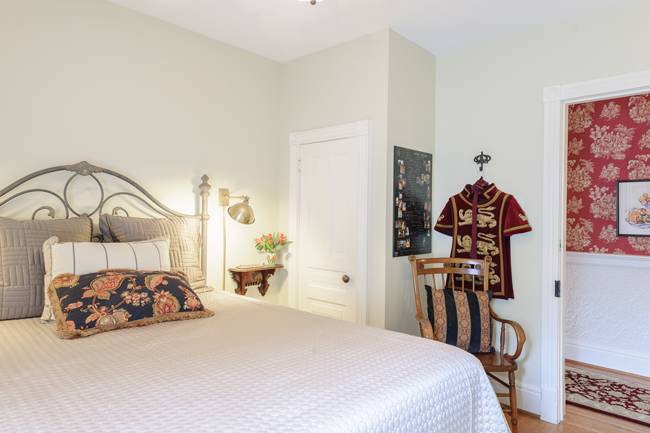 Each room boasts private washrooms, fine bedding with the crispest of sheets and ample pillows for creating that perfect reading nest. 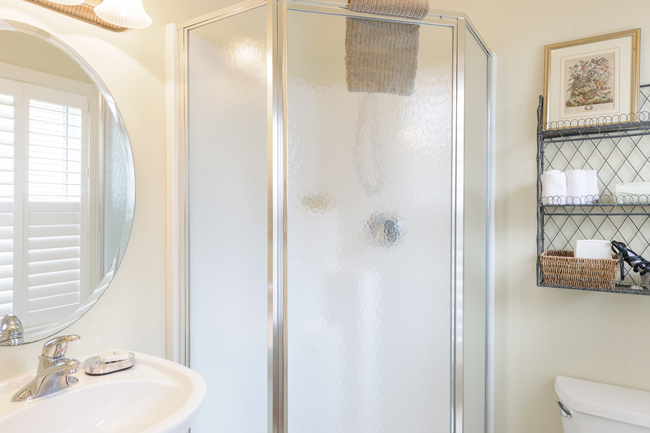 For your relaxation and pampering, all ensuite washrooms are accessorized with sumptuous towelling, specialty bath products, non-slip mats, hair dryers and luxurious robes. 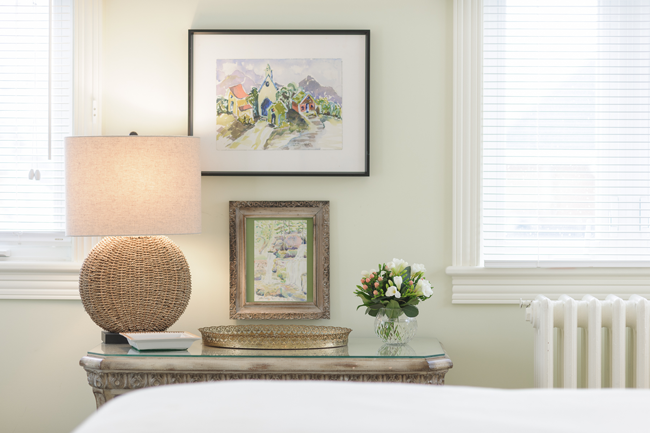 All of our guest rooms are complete with generous lighting, spacious bedside tables perfect for late-night reading and a cozy blanket. 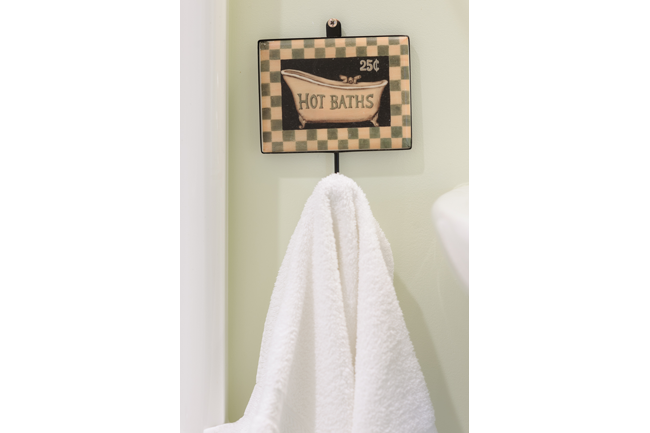 An ironing board and iron are close at hand while in your dresser drawer you’ll discover the most often forgotten essentials; a sewing kit, bandages, and personal products you didn’t think to pack. As our rooms tend to be swept-up quickly during the Festival season, we encourage early booking to avoid disappointment. To make an inquiry or reservation, please e-mail us. 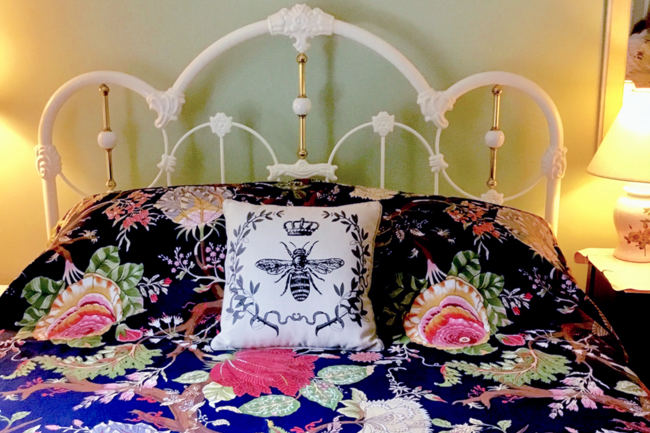 Inviting and cozy with a queen-sized bed dressed in bold botanical bed linens and crisp white sheets. 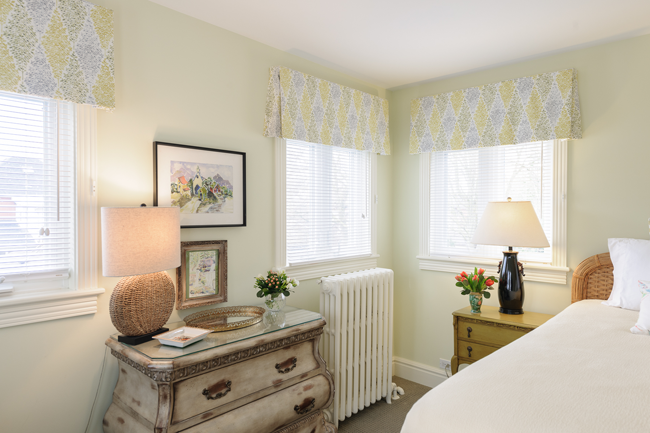 Farrow & Ball’s Cooking Apple Green walls enhance the room’s eclectic furnishings and decor. 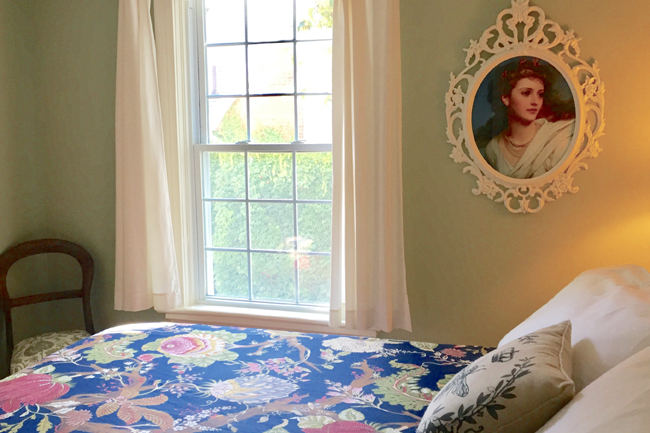 Situated on the second floor at the back of the house, a portrait of The Tempest’s Miranda watches over your slumbers. 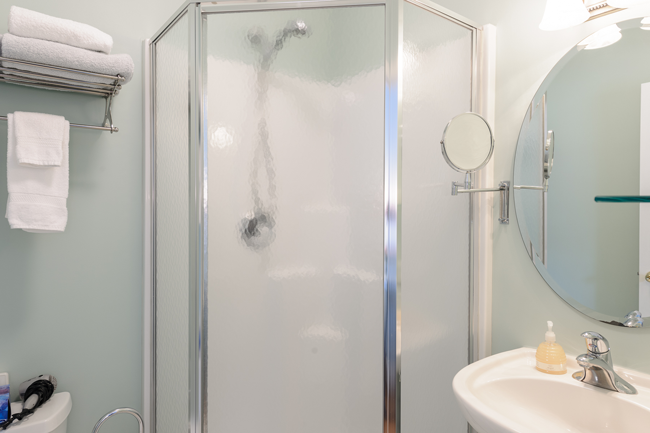 *Rates are based on double occupancy and subject to the addition of a 13% Harmonised Sales Tax (HST). Highlighted by robust naturals, the soft and sophisticated furnishings create a soothing ambiance. With a comfortable queen-sized bed dressed in fine linens, this room is perfect for the exhausted traveller to snuggle in for the night. Warm sunlight spills into this special room through the four windows and the door leading to a private balcony overlooking mature gardens. 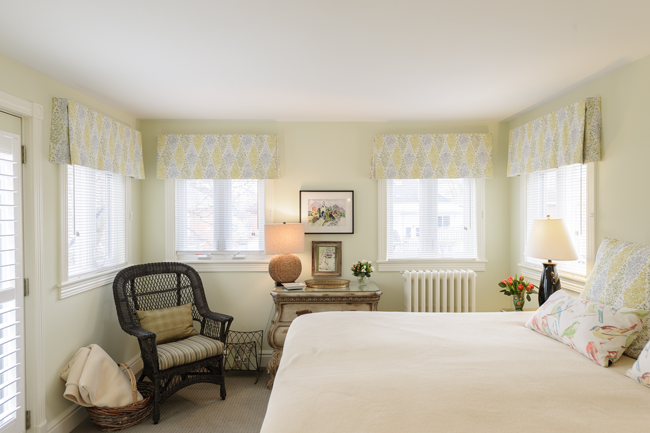 Custom bedding and window treatments accent the serene pale green walls. 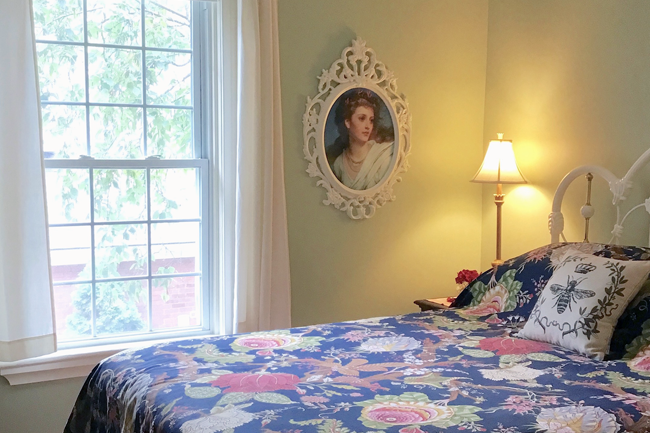 Coupled with original artwork done by Catherine O’Connor, life-long painter and mother of Emily, this space is an oasis built for a perfect getaway. 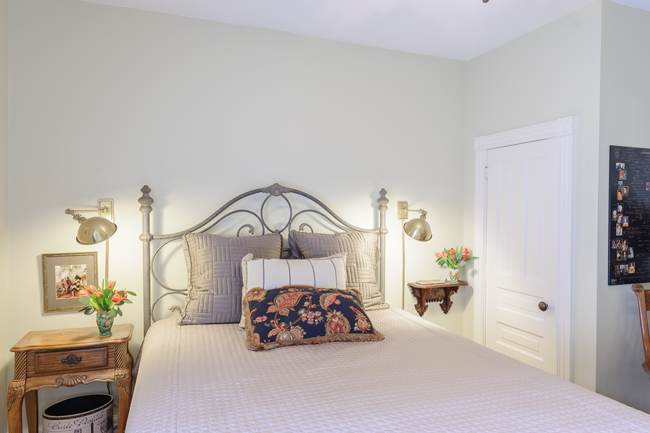 The king bed can be converted into two twin beds for a nominal fee. **$20 twin bed conversion fee, first night only.